The Ethiopian Petroleum Supply Enterprise (EPSE) has awarded Riftcot Limited and HC Trading Plc to supply 1.2 billion Br worth of coal to cement and metal processing factories in the country. Riftcot and HC Trading Plc gave a profit margin of 0.19 dollars and 2.74 dollars to supply 600,000 and 100,000 tonnes of coal, which is going to be used by 20 cement and three other factories, respectively. The former will supply the coal on a monthly basis while the latter will bring the coal every quarter for the companies. And the coal will be fully delivered in the coming 12 months. The international competitive bid, which was announced two months ago, initially attracted five local and four international suppliers although the former did not make it to the technical evaluation for failing to submit a fully-fledged certificate. During the financial opening held three weeks ago, the two companies came up with the lowest offer. 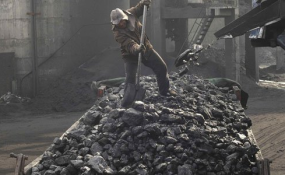 Headquartered in Kenya, Riftcot won the same bid a year ago to supply 700,000 tonnes of coal to various factories, whereas HC Trading is an international firm known for the supply of cement and coal, selling about six million tonnes of petroleum coke and steam coal annually to many countries globally.